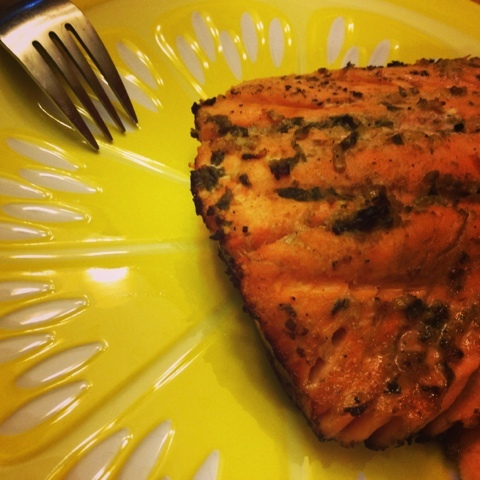 We love EASY dinners! How to do feel about a 7 ingredient meal with a 5, yes FIVE, minute prep time! We certainly love it! This is such a wonderful dish to whip together on those busy weeknights where making a big fancy meal is the last thing on your mind! 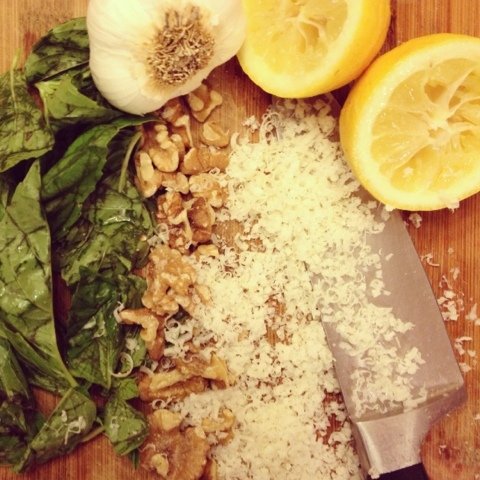 The pesto is simply made from lemons, garlic, walnuts, nutty parmesan cheese and LOTS of fresh basil! Yes, it tastes as fresh as it sounds! 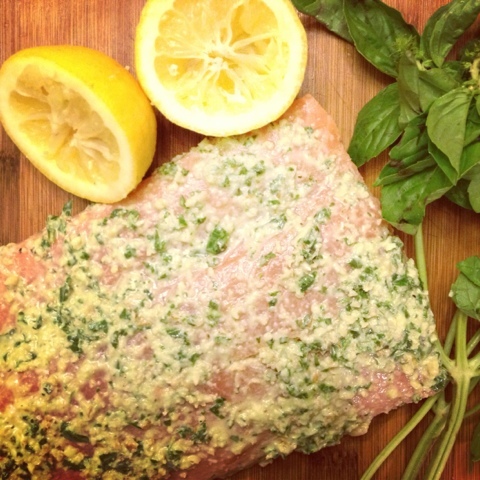 Simply rub your salmon down with this pesto and let sit until you are ready to bake (or grill)! This is such a beauty! Serve this up with a veggie of your choice and you are ready to go! Our cucumber and red onion salad would be a wonderful option! Thank you so much! My boyfriend, who hates fish but wants to eat it because of its benefits, really liked it! We used the CostCo basil pesto sauce. It was amazing! Thanks again!